The year 2002 is the 100th anniversary of Ta Kung Pao. Over the past century, Ta Kung Pao has been achieving a high reputation around the world and building up a distinctive image of fairness and accuracy in news reporting. Ta Kung Pao is an all－ around Chinese newspaper and it is well known for its comprehensive news coverage. The weekdays news contains World News Headline, Mainland News, Local News, and also Economic and Sports News. The Headline Specials mainly focus on the current affairs and their further discussing and analyzing. International Hot Focus section probes into the international social phenomenon from multi－ angle. In order to meet the demand of readers on economic information, the Economic section is used more than ten pages reporting the last economic trends of local, mainland China and the world, there are many valuable special topics on it. The Logistics ＆ Maritimes and Ta Kung Education are highly remarked by the HKSAR Government and receive gigantic supports from people in respected fields. The Ta Kung Forum is a place for the public to express their ideas, opinions and analyses on current political, social and economic issues. Other topic sections include China Special, Across the Strait, Financial Observer, New Technology, Social Association, Chinese Medicine, Health, Consume Fashion, Campus, Cultures, Professional World and Sports Scene. Ta Kung Pao also publishes rich and colorful supplements, including the daily sections such as Home ＆ Garden, Fashion ＆ Style and Entertainment; the weekly sections: Star Track, Vogue in China, Global Feature, Photography, Literature and Science. Our weekly special edition on The Western China and China Private Enterprise are the newly－ founded sections reflecting the latest economic development in China. Both receive admirations from our readers for its huge success in the coverage. Moreover, six pages of the Special Sections on The Western China was honored the prestigious News Grand Award in year 2000 by the Hong Kong Chinese Press Association. Ta Kung Pao owns a variety of non－ daily publications such as The Big Weekly, an colorful informative magazine published on Saturdays with forty－ eight pages, which has become one of the most popular magazines locally and in Mainland China. As the company increases in size, Ta Kung Pao becomes more popular than ever. Apart from its local edition, Ta Kung Pao circulates in different regions of the world, covering Europe, United States and Mainland China; its readership extends to five continents and more than hundred countries in the world. One may easily buy Ta Kung Pao on trains and turbo jets which travel between Hong Kong and Mainland China everyday. You may also find it in leading hotels in major cities in China. Ta Kung Pao Philippines Edition, published in Manila, is the top－ selling Chinese newspaper in Philippines. And Ta Kung Pao Overseas Edition is widely circulated in Europe and the United States. The Ta Kung web site, http://www.takungpao.com is one of the leading sources for local, Mainland China and international news. The site is updated throughout the day, and attracts an average daily hits of over two million, of which the majority are from the United States and Europe. Ta Kung Pao has been granted by HKSAR Government with the rights to publish legal announcement. Nowadays, its readership covers a wide spectrum of society, particularly those in commercial and financial fields. 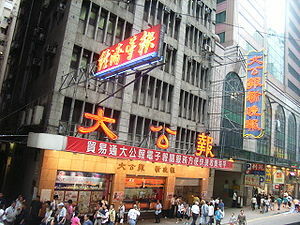 Ta Kung Pao is also an ideal media for advertising and a gateway access to the Mainland China market.